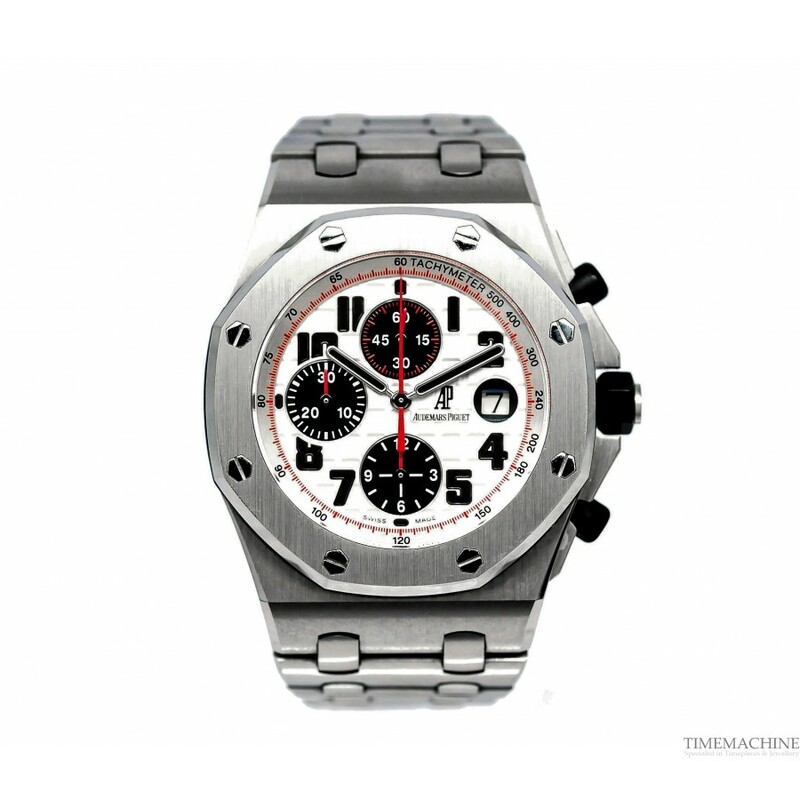 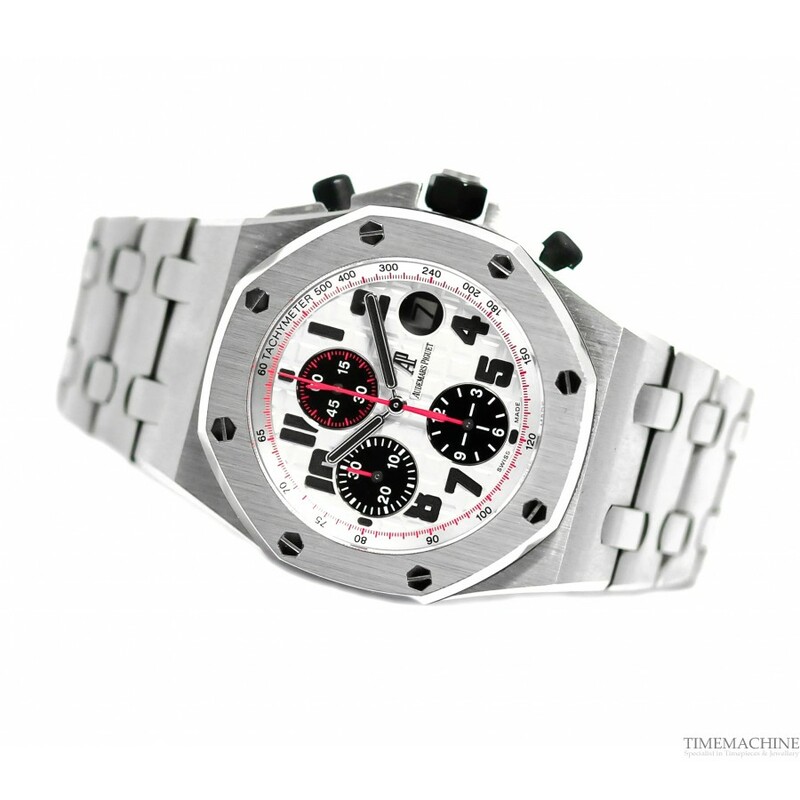 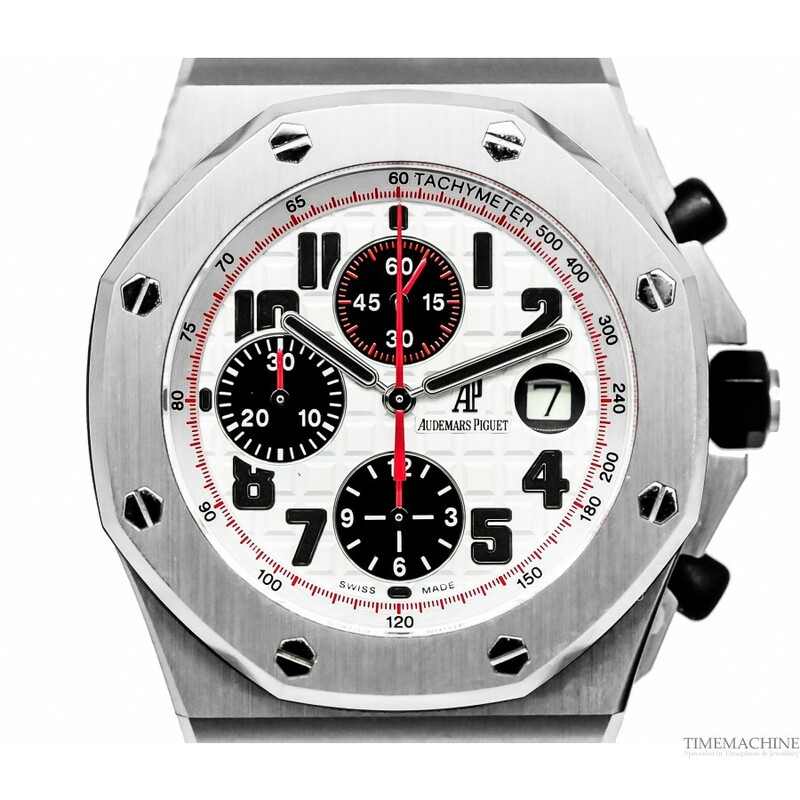 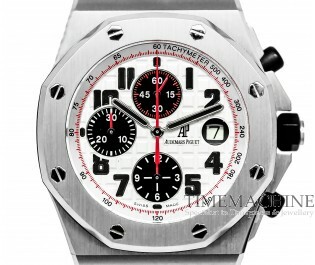 Pre-Owned, Audemars Piguet Royal Oak Offshore Chronograph Ref:26170ST.OO.1000ST.01, mint condition, 42mm x 54mm x 14.3mm stainless steel case protected against magnetic fields, white dial with black subdials, automatic-winding Audemars Piguet Calibre 3126/3840 movement with chronograph, date, and small seconds, approximately 60 hours of power reserve, stainless steel bracelet. Water resistant to 100 meters. 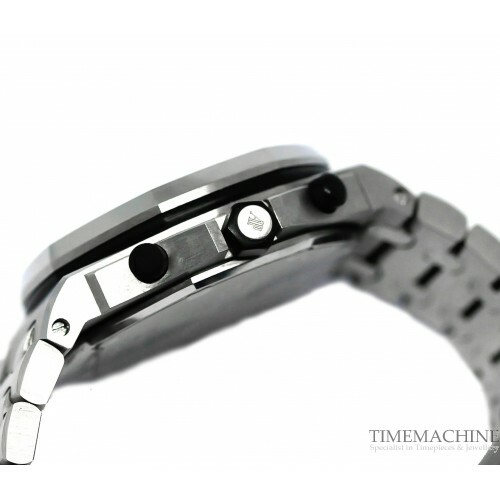 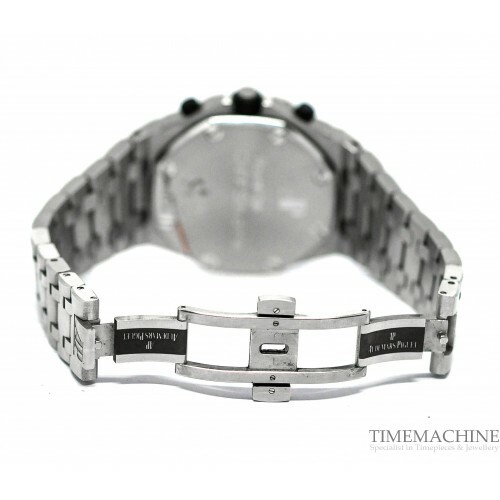 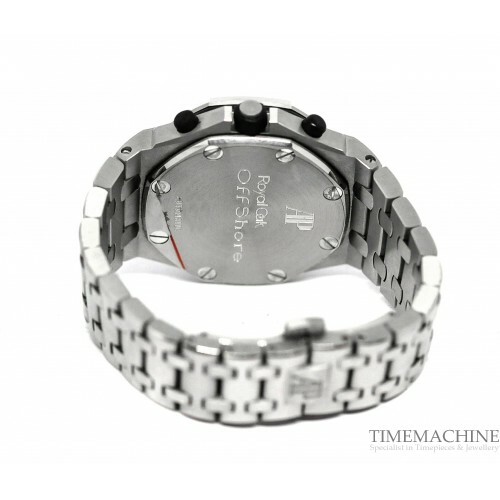 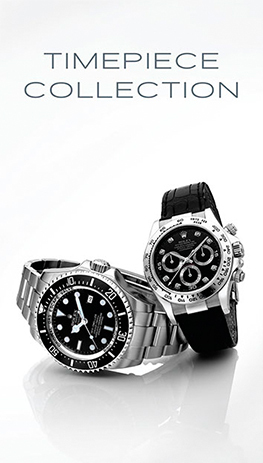 Complete Set of Original papers and Original box, it also carries a TM 12-months mechanical guarantee. Please Quote 4605 in all communications with us regarding this Timepiece. Today the Offshore is one of the most sought after sport designs in the haute gamme watch market, and Audemars most popular model.